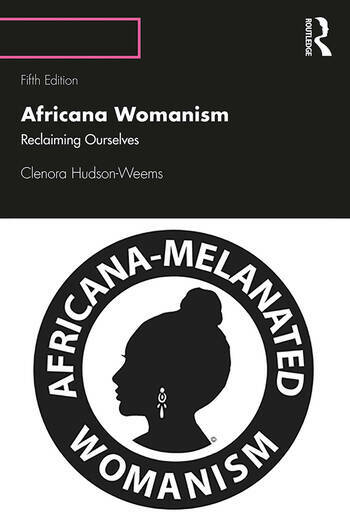 First published in 1993, this is a new edition of the classic text in which Clenora Hudson-Weems sets out a paradigm for women of African descent. Examining the status, struggles and experiences of the Africana woman forced into exile in Europe, Latin America, the United States or at Home in Africa, the theory outlines the experience of Africana women as unique and separate from that of some other women of color, and, of course, from white women. Differentiating itself from the problematic theories of western feminisms, Africana Womanism allows an establishment of cultural identity and relationship directly to ancestry and land. This new edition includes five new chapters as well as an evolution of the classic Africana Womanist paradigm, to that of Africana-Melanated Womanism. It shows how race, class and gender must be prioritized in the fight against every day racial dominance. Africana Womanism: Reclaiming Ourselves offers a new term and paradigm for women of African descent. A family-centered concept, prioritizing race, class, gender, it offers 18 features of the Africana womanist (self namer, self definer, family centered, genuine in sisterhood, strong, in concert with male in struggle, whole, authentic, flexible role player, respected, recognized, spiritual, male compatible, respectful of elders, adaptable, ambitious, mothering, nurturing), applying them to characters in novels by Hurston, Bâ, Marshall, Morrison and McMillan. It evolves from Africana Womanism to Africana-Melanated Womanism. This is an important work and essential reading for researchers and students in Women and Gender Studies, Africana Studies, African- American Studies, Literary Studies and Cultural Studies. Clenora Hudson-Weems--Professor, Author, Film Writer, received the PhD (U of Iowa); MA (Atlanta U); BA (LeMoyne-Owen College); Certificate of French Studies (L’Université de Dijon). Author of 3 books on Africana Womanism, including Africana Womanist Literary Theory (2004), she coined the concept. The first to establish Till’s lynching as catalyst of Civil Rights Movement in her 1988 Ford Doctoral Dissertation, "Emmett Till: The Impetus of the Modern Civil Rights Movement." She is the author of four Till books, including Emmett Till: The Sacrificial Lamb of the Civil Rights Movement (1994); The Definitive Emmett Till: Passion & Battle of a Woman for Truth & Intellectual Justice (2006) and Emmett—Legacy, Redemption & Forgiveness (2014); Co-author, with Wilfred Samuels (U of Utah), Toni Morrison (1990), the first book on the author. She is editor of Contemporary Africana Theory, Thought & Action: A Guide to Africana Studies (2007).. Recipients of numerous awards, she was distinguished Honoree for the 1st International Africana Womanism Conference at the U of Zimbabwe, 2010.